South Korea’s Central District Court on Monday summoned the 12 North Korean defectors who arrived in Seoul in May to appear and verify their condition. The court order, which follows more than two months of scrutiny over the well-being of the 12 restaurant employees, came with little additional detail, but set the stage for a standoff between the judiciary and the National Intelligence Service (NIS), which rejected the court’s order. The NIS, rejected the direction from the court, saying a lawyer will attend in place of the 12 women. The NIS has appointed Taepyongyang, one of the nation’s most influential law firms, as representation. “If the NIS decides against the defectors’ attendance, it provides enough cause to temporarily lift their internment or appoint an alternative location for their protection,” Minbyun attorneys said during the press conference on Monday. In theory the judiciary is equal to the executive branch in South Korea, but in practice that has not been the case. “The NIS should let the inmates attend court, as regulated in the law. 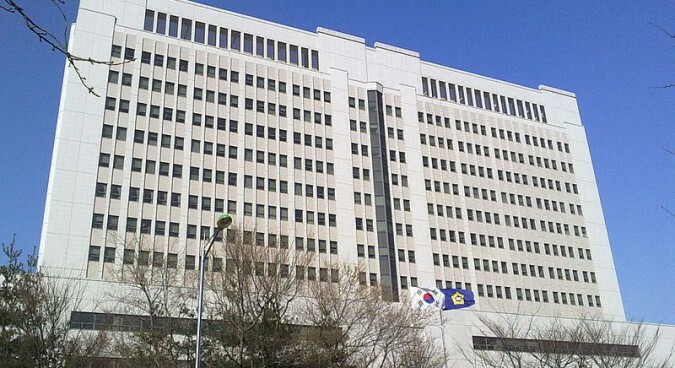 The court can order the NIS to lift the protection or move the inmates to other facilities, but it’s unlikely that the court will do so since it’s a politically sensitive incident,” said deputy executive general of Minbyun Kim Ji-mi. South Korean editorial pages were divided on the issue. The conservative Chosun Ilbo criticized the “pro-North Korea” lawyers on Tuesday for endangering the family members of the defectors still in the North. “It is more cruel than anti-humanitarian to force them to choose between protection for their families in the North and speaking truths (publicly) which will get their families thrown into a river,” the editorial reads. But the progressive Kyunghyang Sinmun, on the other hand, published an editorial Tuesday stating the South Korean government has suddenly changed its attitude on the privacy of defectors after the election. “The defectors identities’ have been already revealed by the Ministry of Unification (MoU),” pastor Jeong Jin-woo, chief of the human rights center at the National Council of Churches in Korea (NCCK), told NK News. The local Hankyoreh newspaper has reported that the defectors will be educated at the investigation center, unlike ordinary defectors who are trained at Hanawon, the settlement support center, saying the NIS is enforcing the barrier between the defectors and the outside world. The defection has received above average public attention, as the MoU has revealed the news in early April, just before the general election, raising suspicion. A defectors advocate met with the group in late May in response to Minbyun‘s requests to see them in person, stating publicly after the meeting that they were healthy and had no desire to meet with Minbyun. Subscribe to read the remaining 544 words of this article.